During the spring of 2018, 13 architecture studios in Mexico and the U.S. undertook an ambitious shared project to examine Mexican-American topics in architecture. The studios investigated the many ways that the two countries perform as a region with shared economies, infrastructures, languages, and histories. 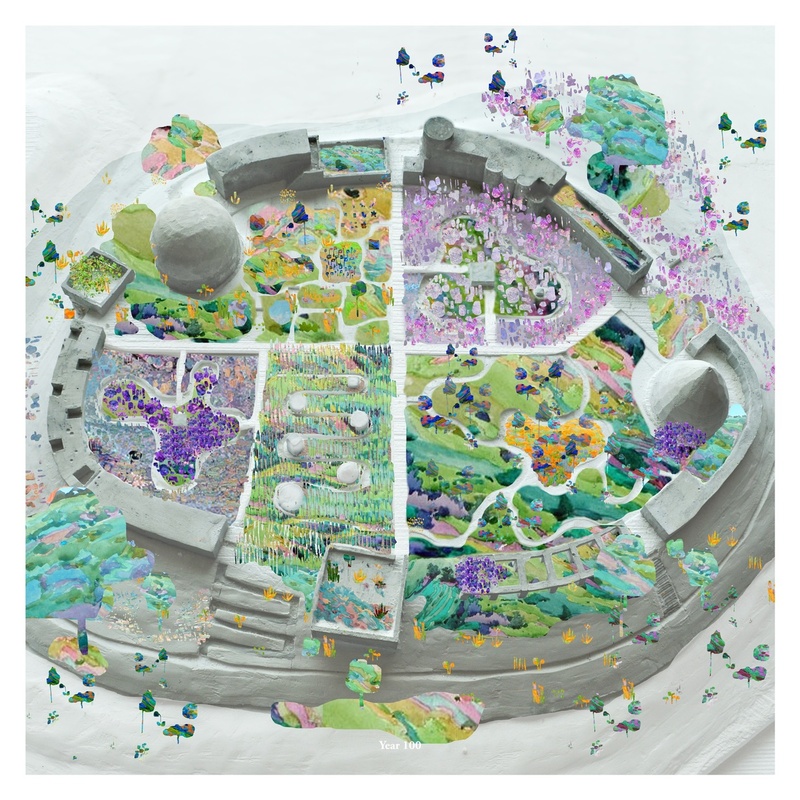 A new exhibition at the Yale School of Architecture Gallery presents student work from the 13 studios along with photographic documentation of the studios’ sites by Iwan Baan divided into five topic areas: territorial economies, migration, housing and cities, tourism, and creative industries and production. Conceived by Tatiana Bilbao and designed by NILE, the exhibition provides an opportunity to spatially redefine a region so often distorted by politics. Two Sides of the Border will be on view at the Yale School of Architecture Gallery from November 29, 2018–February 9, 2019. #cemetery at the #ASARCO #copper smelting site. Bilbao and Baan have become frequent collaborators as of late, having released Landscape of Faith: Interventions Along the Mexican Pilgrimage Route, a photographic journey along La Ruta del Peregrino in Mexico earlier this year. The pair also worked together for The House and the City: Two Collages, an exhibition on display through August 5 at the Steven Holl-design T Space in Rhinebeck, New York. That show uses collages to juxtapose different ideas at urban and personal scales and to create new spatial interventions by reusing tried-and-true typologies in new contexts.